Congratulations to Ros Gill who is part of a team that have won funding from the Australian Research Council Discovery Project for research on Young hospitality workers and value creation in the service economy. The project will run for three years and will explore how young people’s aesthetic and affective labour is put to work in bars, restaurants, nightclubs, etc to create value in the service economy. 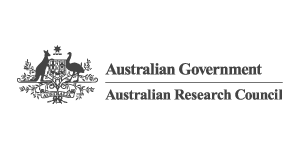 David Farrugia at University of Newcastle, NSW, is the principal investigator, and the others on the team are Ros, Lisa Adkins and Julia Coffey.